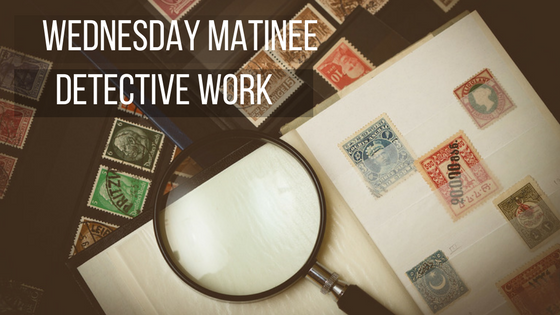 This month our free Wednesday Matinee series features detectives and private eyes. Join us in the Vault every Wednesday at 1 PM for films starring cinematic sleuths. This murder mystery has been leaving movie goers asking "who dunnit" for decades. In the words of the late Roger Ebert, "the movie is about the process of a criminal investigation, not its results." See if you can figure out the secrets Humphrey Bogart and Lauren Bacall are keeping in this noir classic.